Credit reports are important tools, providing valuable insight about whom to do business with and how much your firm is willing to risk. We partner the very best, including Experian, Dun & Bradstreet, Equifax, and the NACM National Trade Credit Report. No matter where you are with your customer’s lifecycle, we help you make more informed financial decisions. Why purchase reports through NACM? NACM Business Credit Services works with a number of partners to provide the right report for you at a competitive price. 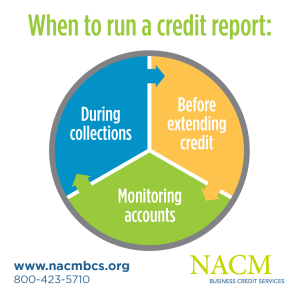 Whether you need just a few reports every year or want an annual subscription, NACM offers a suite of credit reports to best fit your needs. Buying the report is just the first step. Afterward, our customer service team kicks in to help you navigate any challenges. Just a phone call away, our staff is ready to assist when you need a helping hand. Who can pull a business credit report? Why should you pull a business credit report?